Cantenac-Brown, a 3ème Cru Classé estate, is located in the Haut-Medoc wine appellation on the western extremes of the Margaux appellation. As with so many Bordeaux estates, the tale of the last 120 years focuses on early years of problems, caused by both vineyard diseases and economic depradations, followed by recent revival once the property has been bought by someone with the means to invest properly in its future. The revitalisation of Cantenac-Brown only really looked a realistic possibility with its acquisition in by AXA Millésimes in 1989. The AXA team, led at that time by the since semi-retired Jean-Michel Cazes, with the help of Daniel Llose and under the direction of Christian Seely, began to turn the estate around. 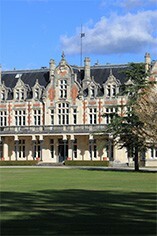 The team had a history of success in Bordeaux, not least at Lynch-Bages but at other estates such as Pichon-Baron, Suduiraut and Quinta do Noval. 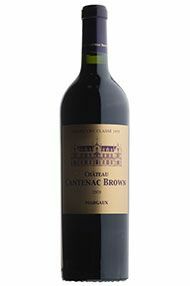 Cantenac Brown has 42 hectares of vineyards - 65% Cabernet Sauvignon, 30% Merlot and 5% Cabernet Franc. This wine sees 60 percent new barrels, with 40 percent in one-year-old barrels. Generous and aromatic on the nose, there is a glorious scent of red fruit, violets and blackcurrants with fine tannins and pleasing acidity. It starts quite muted and develops in the mouth, giving way to a long, fresh silky finish.